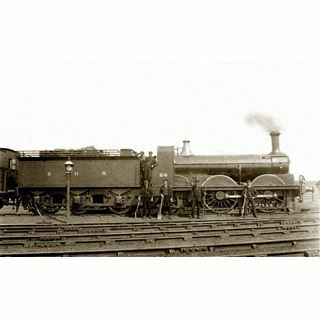 This photograph is one of a series supplied by a Picture the Past viewer who inherited some photographs from an aunt whose relative had worked at Colwick Railway depot-yard. (This picture comes by courtesy of the effects of Jean Selina Morland - 1914 to 2004). The National Railway Museum in York said that the locomotive was Great Northern Railways No. 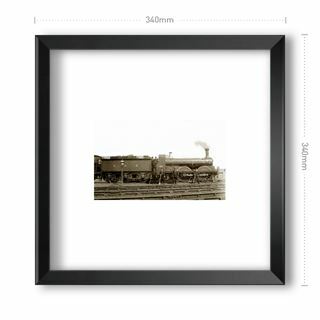 56 a Stirling mixed traffic 0-4-2 that was built in Doncaster in 1870. It was then allocated to Colwick in 1905 before being withdrawn from service in 1909. As the people in the picture appear to be posing for some special occasion, it seems likely that it was either taken in 1905 or 1909 - when it arrived or left. Mark Higginson of Derby Industrial Museum offers the following suggestion:-'the general feel of the place is consistent with Colwick. 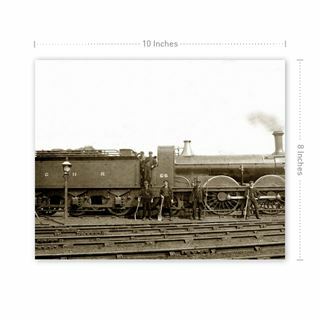 The two men on the right are carrying shunter's poles which suggest a location with a lot of sidings. Colwick with its huge marshalling yard certainly had that, but equally shunters with such poles would be found at any of the collieries served by the Great Northern north and west of Nottingham. 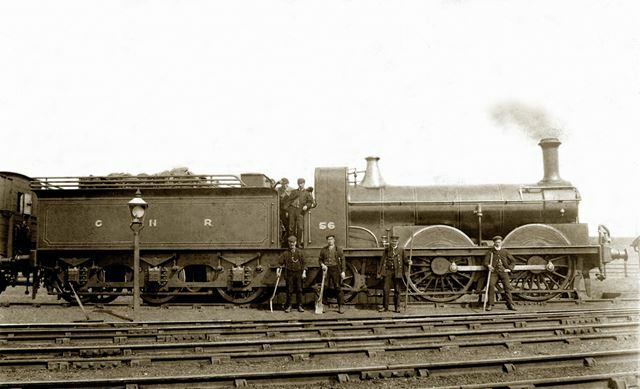 However, the photograph was not taken on a special occasion - it simply shows a group of railwaymen posing for a photographer during the course of their working day. 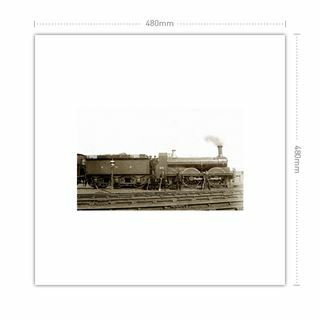 What seems to have happened is that travelling photographers seem to have arrived at railway locations - stations and engine sheds where staff would be present were favourites - either on spec or by prior arrangement, and photographed groups of workers. Presumably copies of the resulting photos were then sold to the staff pictured and the photographer earned his crust that way. This would also account for the postcard back - the picture could be posted to relatives. I have seen a very similar view, albeit with different staff and a different loco, taken around the same period at the GNR's Derby Friargate engine shed. The lamp, by the way, looks to be oil lit - note the huge reflector mounted in the back of the lantern.' (If anyone can help further with the identification of the location of these, please let us know via the Picture the Past web-site).